Baubax 2.0 Travel Jacket Review: The Best Travel Jacket? Everybody loves to travel but often the logistics that is actually getting to one place is something everyone deads. This is because traveling involves long uncomfortable flights, tedious airport runs and layovers! Sure there are nifty travel comfort essentials like inflatable pillows, compact blankets, footrest eye masks that help but they just end taking precious space in your backpack or suitcase. Fortunately, now you don’t have to buy any travel comfort essentials as you already have them built-in as “Features” in this amazing travel jacket. In this article, I will be reviewing the Baubax 2.0 travel jacket a versatile jacket with over 25 features that make travel comfort “essentials” redundant! In fact this jacket so versatile that it’s been dubbed the “swiss army knife of jackets” by Business Insider. What is the Baubax 2.0 travel jacket? 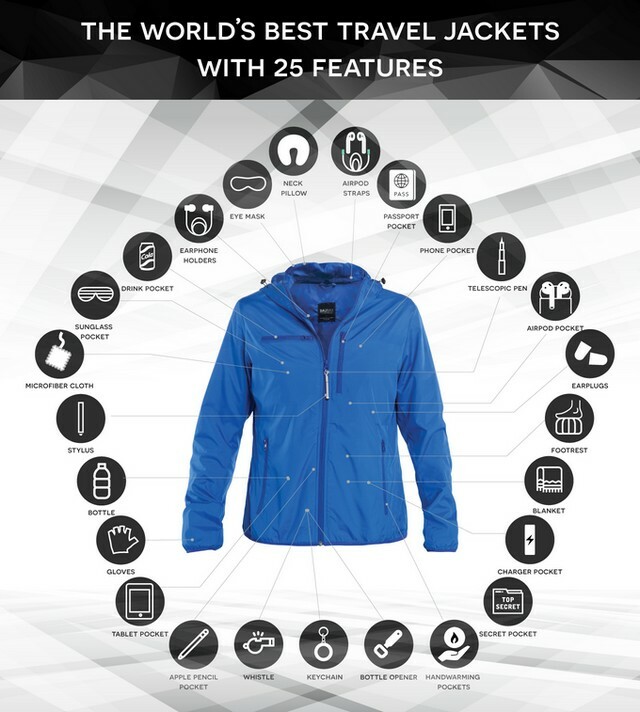 Baubax is a Seattle-based startup that makes primarily four products ranging from weatherproof windbreaker to sweatshirts with over 15 features that optimize for convenience. It blasted onto the apparel scene in 2015 raising more than $9 million on Kickstarter with its travel-focused jackets aimed at simplifying travel. Today the brand launched BauBax 2.0 (formerly known as BauBax) a travel jacket that sports an inflatable neck pillow, built-in gloves, drink koozie pocket and retractable pen along with 10 other unheard features that focused on simplifying travel. Baubax 2.0 now has a line of travel packets that come in four styles: vest, bomber, sweatshirt, and windbreaker also each style shares the same 25 features with a place for everything. 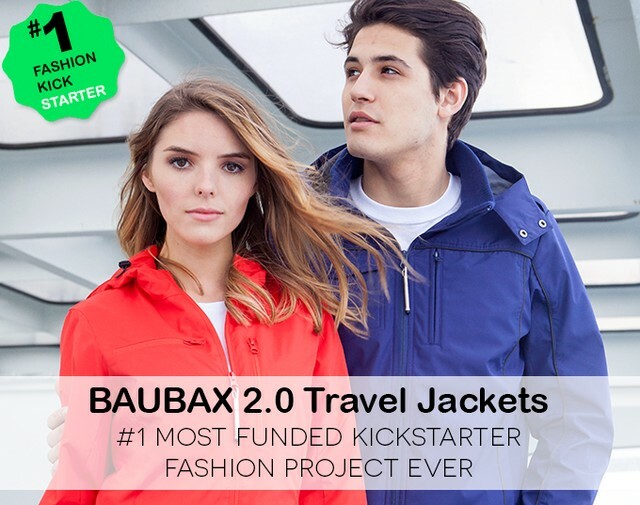 Honestly, I love the products Baubax 2.0 is creating especially their goal to make travel easy moreover being new their products are priced extremely low making it a very attractive option for any travelers that want to travel hassle-free! I never thought I’d write a review of a jacket but this jacket is no ordinary jacket it’s in a league above all the other jackets and has features that are unheard of until now. The Baubax 2.0 is a highly functional travel jacket with over 25 features ranging from a built-in neck pillow to a tablet pocket and everything in between that’s built to simplify all your travel needs. If you value functionality and convenience whilst traveling you will love the Baubax 2.0 travel jacket as it’s made with one goal that is to simplify travel. 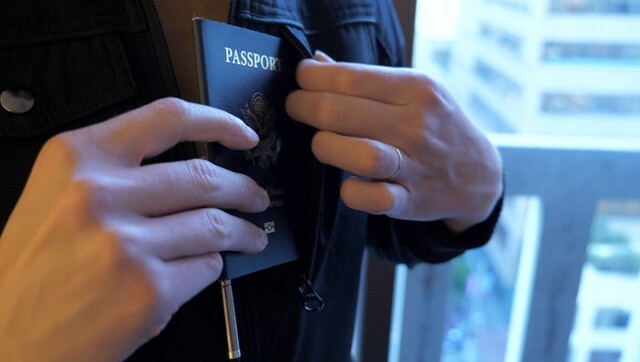 The bulk of Baubax 2.0’s features are focused on making travel hassle-free. It has over 25 features that eliminate the need for carrying expensive and bulky travel essentials. The windbreaker is a water repellent jacket that’s best suited for warmer climates. The Bomber is the thickest jacket from Baubax 2.0 and best suited for colder climates. 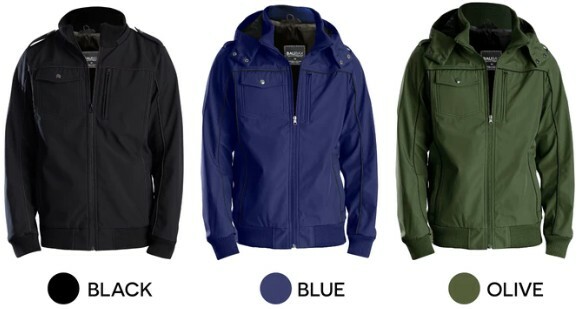 It is also not as water repellent as the windbreaker but will repel slight splashes of water. 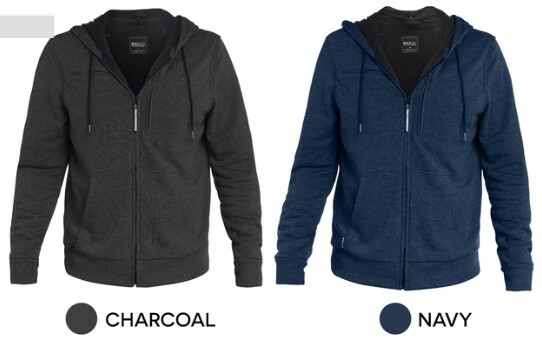 The sweatshirt is best suited for cool weather and is not water repellent so if you’re looking for something more versatile the bomber jacket is a better choice. 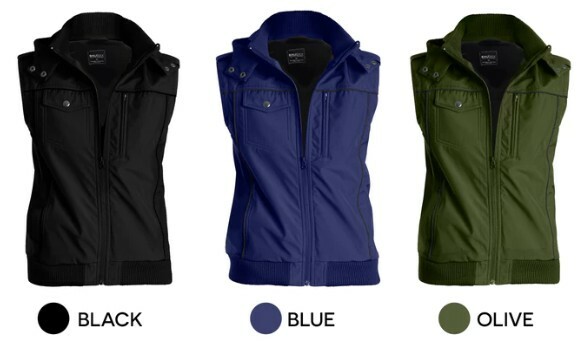 The vest is a sleeveless jacket that’s suited for more warm weather. Bottom line if you’re going to be traveling a lot and need a versatile jacket(or vest) you can use anywhere then this jacket is going to be a pretty good fit for you especially everytime if you fly at 35000 feet! Most travelers invest in neck pillows, earplugs and other travel essentials in general that work but end up taking precious room in your ba. This jacket, on the other hand, eliminates the need for these “essentials” and more importantly has them already built-in so you don’t really have the inconvenience them lugging around in your backpack. Honestly, I’ve never seen a jacket with as many pockets as the Baubax 2.0 and more importantly the pockets aren’t gimmicks they are thoughtfully places to make it easier to travel with. If you like functional and neat tidy organization this jacket is going to be your favorite companion. A lot of pockets is good but when all of them are filled with something you’re definitely going to feel a little uncomfortable especially whilst wearing on a long flight. I recommend not going overboard and sticking only the bare essentials you need in the jacket for the best experience. The four styles use the same lightweight material with the only major difference in the capability to resist water and obvious use case scenarios of each style. 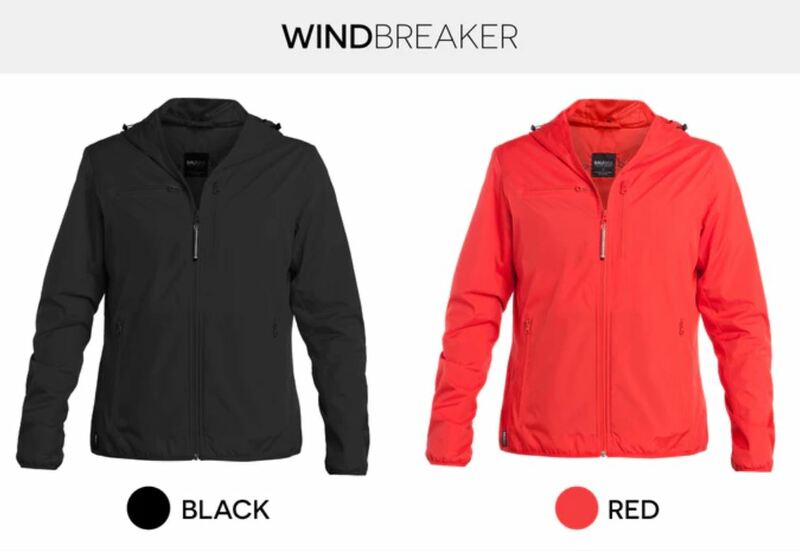 The windbreaker is water repellent while the bomber will repel slight splashes of water. While the Baubax 2.0 Travel jacket series sports up to 25 features, not all the styles have these features. Refer to the table below for a brief overview of the features across the 4 styles. Remember those bulky neck pillows? Now you don’t need them anymore as this jacket already has a nice beefy neck pillow embedded inside which can be easily tucked under the hood of your jacket. This neck pillow is unlike any you’ve ever used and can be simply deflated into your collar when you don’t need it! Note: This is a proprietary innovative technology exclusive to Baubax 2.0 and inflates in only 2 seconds with a one press deflation! An essential when traveling to cold countries but not anymore as this jacket has built-in gloves that easily slide out of the sleeves to keep you warm and cozy. This jacket comes with a dedicated pocket for an inflatable travel footrest that uses their proprietary valve technology to allow for easy inflation and deflation. This is a super light blanket that’s warm enough to keep you cozy during all your travels it can be folded and stored in a pocket. It’s always a good idea to keep an emergency bottle of water with you at all times and the Baubax 2.0 travel jacket makes it easy to do so as it comes with a foldable Baubax travel bottle that can be stored in a pocket or hung on your trouser belt loops using a carabiner. Just in case it’s too noisy you can use Baubax’s noise-reducing earplugs that come with all their jackets in a dedicated pocket. This jacket has integrated straps for the Apple airpods so that you don’t lose them if they slip out of your ears especially when using them in the outdoors. There’s a dedicated power bank power thoughtfully placed right below the phone pocket to conveniently allow for charging of your phone right inside your jacket pocket. There’s a dedicated sunglass pocket that lets you easily carry sunglasses so you have them ready when you are on the go and also comes with a microfiber cloth. There’s a quick access pocket that’s very useful during airport runs as you can conveniently stash it and take it out when required. 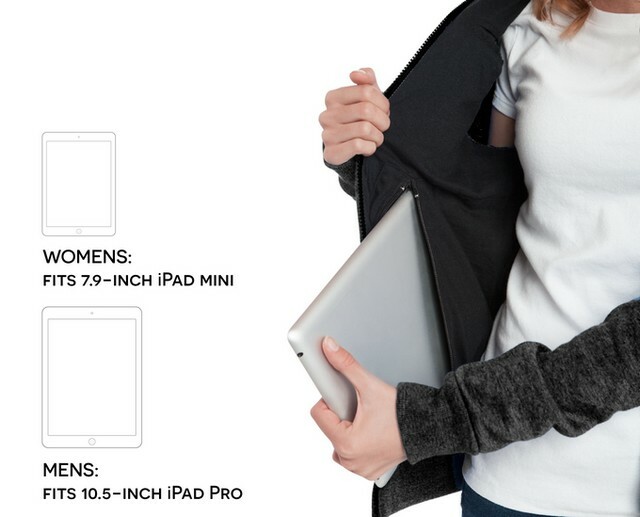 Just when you thought the pockets would end you also have a pocket for your tablet! I’m not sure how practical this is though. “Wait where are my keys? !” This is something you won’t ever ask again as this jacket not only lets you carry your keys but also ensures you don’t lose them. The jacket uses a retractable keychain with a carabiner and is also thoughtfully placed in the two front pockets (hand warming pockets) so it’s easy to reach into. Bought a beer without an opener? Not a problem! Just use the retractable keychain that has also come with a bottle opener. The bottle opener also has a whistle hat that could come in handy in life-threatening situations. Today theft is a major problem whilst traveling especially when burglars using credit card scanners that can steal your moment by simply being close to your pockets! Fortunately the Baubax 2.0 travel jacket comes with secret pockets specifically for your credit cards for maximum security. Apart from these Pockets the Baubax 2.0 Travel Jacket also features a drink Pocket, phone Pocket, wired Earphone holder and hand Warming Pockets. On the whole, I love all the attention to detail that’s gone into making this jacket. There’s literally a pocket for everything making it one of the most functional jackets in the market right now. Hows does the Travel Pillow work? The Travel pillow works just like a whoopee cushion to inflate it simply unzip and revel the vale. Ensure the flap inside the valve is making fit right else it’ll leak air. To Inflate simply push down the flap and squeeze the air out. Does Baubax 2.0 offer free shipping? Baubax 2.0 offers free shipping to the US (except Hawaii, Alaska, Guam), Hong Kong, Australia, Europe, Canada, and Europe. For the rest, it is free for more than 2 jackets. Baubax 2.0 accept returns and exchanges within 30 days from the date of delivery however the cost of shipping will be borne by you. Note: Returns/exchanges will be accepted only if the product is unused, unworn and with all their proprietary tags intact. I love the attention to detail when it comes to functionality and of course the internal organization on this jacket. I think this jacket makes a really good effort a making travel easier and can definitely see its features put to practical use. Moreover, you have a choice between 4 styles so you won’t end up with something that works just right for what you want. In short, if you’re looking for a versatile travel jacket that will simplify your travel especially during airport runs then you’ll find great use for the Baubax 2.0 travel jacket. So which one are you going to get? Let me know in the comments below!